RALEIGH – The N.C. Department of Transportation’s Division of Aviation has approved state funding for 11 airports, for a total investment of almost $4.7 million. Tri-County (Aulander): $57,940 for a waterline extension to the terminal building. The Division of Aviation is responsible for state airport and aviation system planning and development. It also provides funding to communities for constructing and improving airports throughout the state. North Carolina has 72 publicly owned airports and nearly 300 privately owned airports, landing fields, and helipads. Ten airports have regularly scheduled commercial airline service, and two serve international destinations. 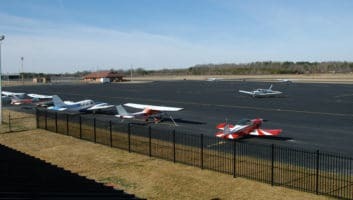 There are over 7,000 registered aircraft based in the state, and 14,000 registered pilots. Every year, more than 56 million passengers fly to and from North Carolina and 1.3 billion pounds of cargo pass through the state’s airports. Airports and aviation-related industries contribute $31 billion to North Carolina’s economy each year, per a 2016 report. There are also 123,400 airport-related jobs in the state.